Four modern skins - Terrace, Skyblue, Meadow and Broadway - are included. All of them can be easily customized based on your design needs. With dhtmlxGantt, you can set up minutes, hour, day, week, month, year scales. Moreover, the scales can be changed dynamically. 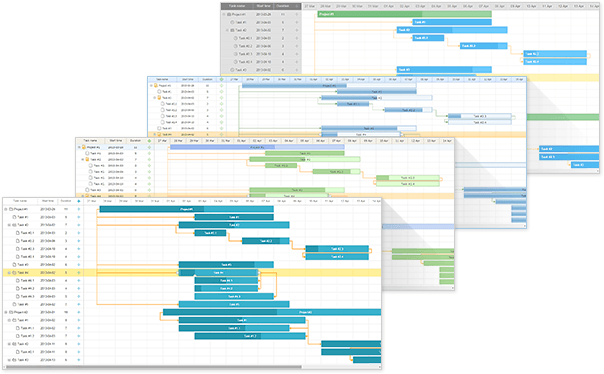 In your gantt chart you can combine multiple scales and use them at once. Users with different types of disabilities can rely on such features as keyboard navigation, WAI-ARIA support, and high-contrast themes. dhtmlxGantt is fully compatible with Bootstrap. 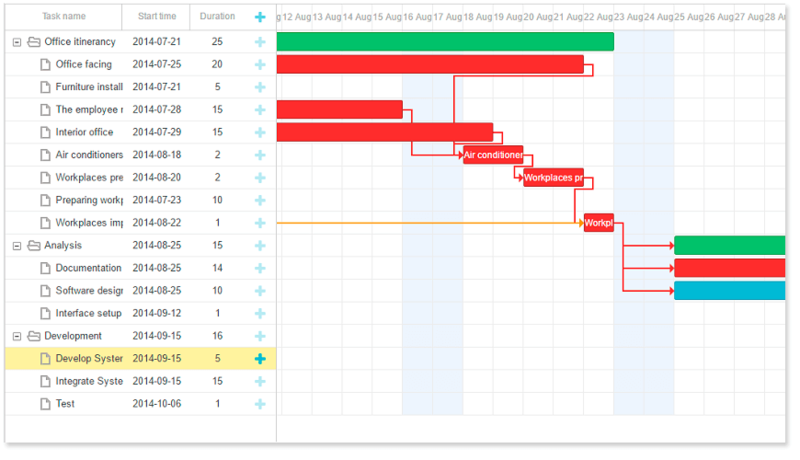 You may check this demo showing gantt chart in the Bootstrap layout.